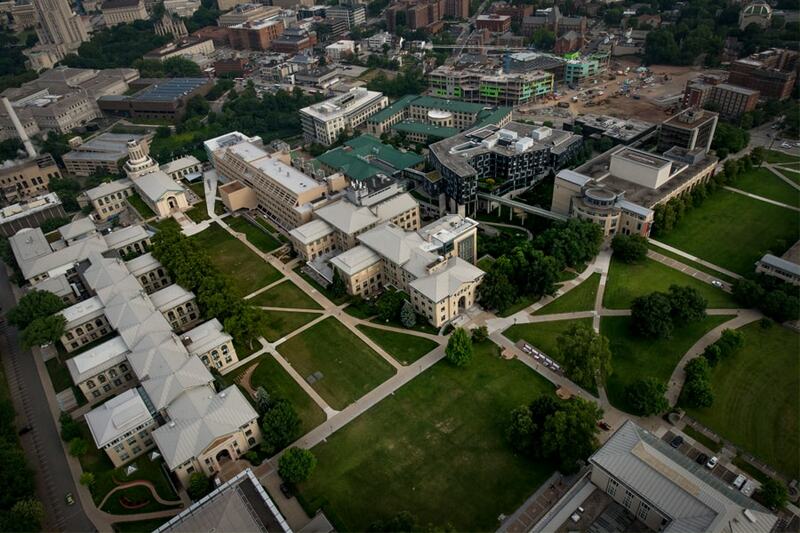 Carnegie Mellon University produces an estimated $2.7 billion in annual economic impact for the Commonwealth of Pennsylvania, mostly in the Pittsburgh area, according to a new report. "Impact from Innovation: Carnegie Mellon University's Role as a Local and Global Economic Engine," highlights industry collaborations and entrepreneurial activity that have had a transformative effect on the region's global competitive position. 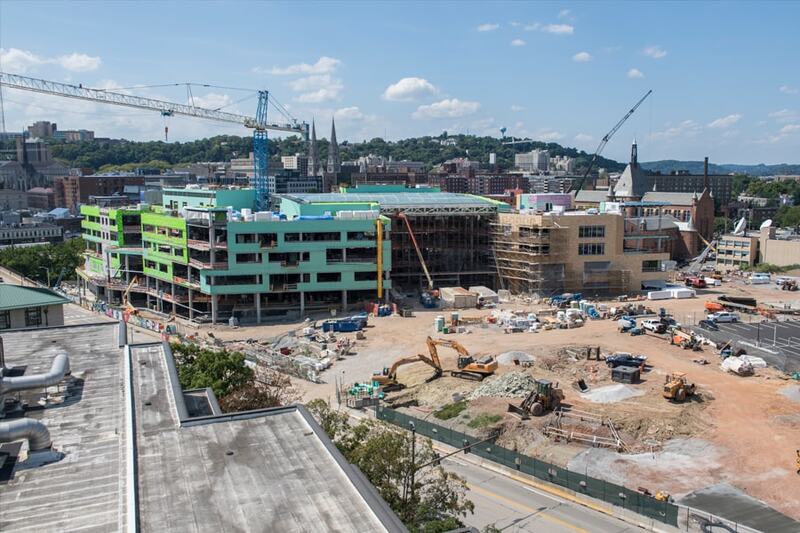 The report quantifies the direct, indirect and induced effects of CMU's Pittsburgh campus on the local, regional and state economy for the 2016 fiscal year. The study, commissioned by CMU and conducted by Philadelphia-based Econsult Solutions, also highlights ways the university enhances quality of life in the region through civic engagement, the arts and service. The university, which supports an estimated 18,000 jobs statewide with total earnings of nearly $1.2 billion each year, attracts more than $380 million in research funding each year and was recently named among the top 10 U.S. universities for technology transfer. "Carnegie Mellon University's distinctive strengths in research, education, creativity, and entrepreneurship make it a powerful engine of opportunity, fueled by resources from around the world," said CMU Interim President Farnam Jahanian. "This report provides further evidence of the symbiotic relationship between the university and its region. Pittsburgh has benefited immensely from the activity of its universities, while CMU needs the region to flourish in order to realize its ambitions." Over the past five years, CMU indirectly or directly helped to create 148 startup companies. Since fiscal year 2011, 42 CMU-associated startups raised $1.05 billion in venture capital. Nearly 74 percent of this venture capital ($783 million) went to 31 Pennsylvania-based startups. CMU's Swartz Center for Entrepreneurship, a hub for campus-wide entrepreneurial activities, works with its partners and the university's departments, colleges, centers and campuses to accelerate bringing cutting-edge research and ingenious ideas to the regional and global marketplace. The university's partnerships with more than 350 corporations are critical to the region's growth. High-profile companies including Amazon, Apple, Disney, Facebook's Oculus, General Electric, and Google have set up offices on or near campus to capitalize on the talent and innovation emerging from CMU. "The venture capital community, leading technology giants and young knowledge workers all 'vote with their feet' and have increasingly made massive investments of dollars and effort in advanced-robotics technology with the potential to fundamentally change the way we live, experience the world and move through it," the report stated. "CMU's reputation, expertise and talent pipeline in this and other growing fields have made Pittsburgh a prime destination for cutting-edge technology firms and, in the process, are fundamentally remaking Pittsburgh's brand in the global marketplace." CMU's day-to-day operations produce approximately $1.9 billion in economic impact in the Pittsburgh region and across the Commonwealth. Most of the money spent by CMU in the local economy originates outside the state in the form of tuition and federal research funding. Payroll represents the largest component of the university's operating expenses, with employee wages and benefits for nearly 5,360 faculty and staff members on its Pittsburgh campus at $658 million. Almost all the employees live within the Pittsburgh region, and 44 percent live within the city's limits. At $300 million, goods and services are the second largest category of operating expenses. Forty-five percent of these expenditures go to Pennsylvania-based businesses in sectors spanning health care, retail, food services and real estate. CMU's more than 13,000 students and 70,000 annual visitors generate an additional $161 million in economic impact within the region. The university attracts 86 percent of its students from outside of the state and 43 percent from other countries. CMU students, their parents, alumni and other visitors create demand for restaurants, retail stores, apartments, hotels and entertainment venues. This demand extends to CMU's campus footprint, which is undergoing its largest expansion since the university's founding in 1900. "As you walk down Forbes Avenue, you can't miss the work underway to improve and expand CMU's infrastructure. These investments have boosted the local economy and allow us to compete for the best and brightest students and faculty, while building momentum for further development and innovation," said Rick Siger, CMU's director of strategic initiatives. Between the 2011 and 2019 fiscal years, the university will have added more than 550,000 square feet of academic space, contributing $376 million to the local economy in construction expenditures. CMU anticipates at least $520 million in additional campus improvements and upgrades through the year 2022. CMU and the City of Pittsburgh have embarked on numerous collaborative efforts to improve the quality of life in the region. One example is the Metro21 initiative, which supports the research, development and deployment of technology that seeks to solve problems of particular importance to metro areas, including transportation, air quality and housing. Kristin Hughes, associate professor in CMU's School of Design, said the region is facing significant social, economic and environmental changes and challenges. Not only is it necessary in our own research and practice to explore alternative ways of working with socially and economically disadvantaged communities but equally important for our students to approach the city and the people living here with empathy and compassion. "By working through various initiatives and programs, such as the city's, Roadmap for Inclusive Innovation, our students engage in careful dialogue to learn about subtle, cultural differences and values that exist in many of our diverse communities," Hughes said. "That way, we are not imposing our own ideas and values on a community but designing with them. Pittsburgh is our university and we are exposing our students to the real world while working to create greater lasting change." Raj Rajkumar, the George Westinghouse Professor of Electrical and Computer Engineering at CMU, said Pittsburgh has become an international model for re-inventing itself from the depths of its steel industry collapse. "It has done so by building on technological innovations and public-private partnerships, and attracting the youth and startups," Rajkumar said. "Carnegie Mellon, renowned the world over for its computer science, engineering, robotics, information systems and public policy, is proud to have played — and continue to play — a leading role in the renaissance of Pittsburgh." Students and faculty engaged in the arts and humanities play a critical role in Pittsburgh's cultural scene. The university regularly hosts performances, exhibitions and lectures that engage visitors at low or no cost. Patrons have access to future Broadway stars, award-winning writers and leaders of the nation's most respected organizations. CMU community enhances the lives of individuals of all ages and backgrounds through service. For example, more than 10,000 children participates in CMU educational outreach programs, and the university's students perform more than 200,000 hours of service each year. "CMU is at the epicenter of Pittsburgh's economic revival," said Pittsburgh City Councilman Dan Gilman. "The local institutions that have been part of the revitalization are critical as we continue to improve in jobs growth, but we also need to make sure that the new economy is for everybody, from the GED to the Ph.D."